The last performance was enjoyed in 2012. Many other spectacular shows are currently available in Branson theaters. Whether you’re a fan of American Idol or America’s Got Talent, you can see your favorite finalists at this exciting, talent-driven show. The show features Lee DeWyze, the 2009 winner of American Idol, beat boxer Blake Lewis, and Thia Megia from last year’s show. Later in the summer, don’t miss Reuben Studdard, American Idol’s 2004 winner. The two-hour show takes place in the comfortable Andy Williams’ Moon River Theater, and presents some of the biggest stars in game-show entertainment. 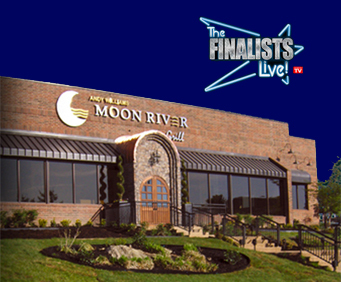 The show is family-friendly, and you’re free to purchase a meal from the Moon River Grill beforehand. You may remember Lee DeWyze, the winner of American Idol’s ninth season. With a third album on the way and a budding career ahead of him, the musician graces Branson with his voice this summer. Reuben Studdard, the 2004 winner, brings a different flavor to the show, with a gospel and R&B background that resonates in his soulful vocals. If you rooted for some of these excellent musicians or simply want to see a good show, be sure to visit the Andy Williams Moon River Theater in May to see The Finalists! Live.